Is your child 0 to 5 years old? In this article, our education consultants give their professional insight into how to prepare your child for entry into the British education system. If you need advice on selecting the right school for your child, please call one of our education consultants or use our online enquiry form further down this page. The UK education system is fiercely competitive and not everyone plays by the same rules. With people moving into school catchment areas before the birth of their child and some parents attempting to register unconceived children for prep-schools, it’s really important to think about your child’s education early. The first step is to identify your options: These are most likely to come down to your decision on the Private or State system, your location and financial means. 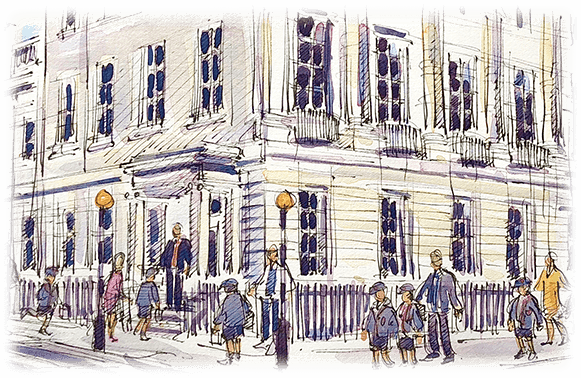 It’s essential to start early as there are tight deadlines –particularly for independent schools. Talking to friends who have children already at school can be helpful. However, remember that your child’s specific needs will likely differ to those of your friends’ children. Useful research tools include the school website, The SLT Schools Guide, and recent Ofsted reports. It is important not to get fixated on league tables as they can be misleading (bright children in = bright children out). Instead try to look for ‘Value Added’ by the school. The Telegraph measures this in their league table. Try to narrow down your search to around five schools or less – any more is logistically challenging and suggests you aren’t being realistic. Deciding between full or half day nursery comes down to your own family’s needs. Attending nursery in the morning combined with one-to-one learning in the afternoon is a good balance. However, morning-only places are more competitive. If English is not your child’s first language, we would highly recommend full day nursery. Exposure to English is one of the most important phases of preparing them for them for the British Education system. Employing a nanny or joining a play group are alternatives to nursery. Although both are good childcare options, neither is likely to provide specialist educators. If you are preparing your son or daughter for school entrance assessments or if your child is particularly bright and you feel they need some stimulation beyond what their play school can offer, then a professional tutor may be useful. Pre-school tuition is fun and informal. It focuses on unlocking children’s potential. Tutors can help parents and nannies by providing an expert approach to learning and development focused on the best methods for the age and development of the child. Our education consultants provide bespoke advice to help you prepare your child for their first steps into formal education. For more information about our award winning education consultancy service, please visit our Pre-preparatory and Nursery Consultants page.